I am no preacher, but, am a prime sinner and living in this world in HIS mercy. For a sinner like me too, when I read “The Holy Bible” KJV, the following verses were given in the context of “unrighteousness”. and no unrighteousness is in him. 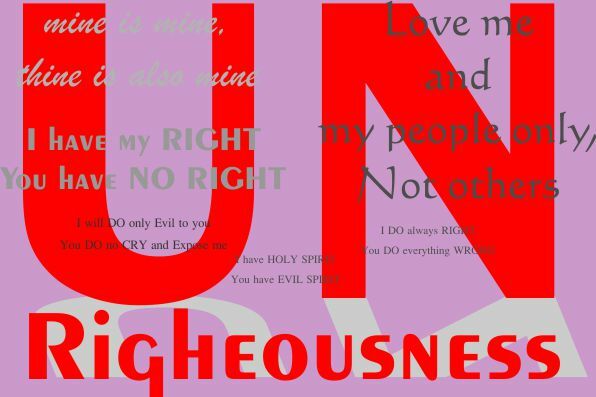 Is God unrighteous who taketh vengeance? and your members as instruments of righteousness unto God. Romans 9:14 What shall we say then? that they might be saved. will I remember no more.